Specialized Bicycle Components, Inc., the company that manufactures and distributes bikes and bike components under the “Specialized” brand, has announced a recall of an additional 100 brake levers. In April 2012, Keating LawOffices reported that Specialized had previously recalled 600 Tektro TL-83 break levers. The expanded recall includes Tektro TL-83 brake levers sold as original components on 2012 S-Works Shiv bicycle frame modules and 2012 S-Works Shiv TT bicycle frame modules. The recalled brake levers were also sold as aftermarket service parts for both of these modules. The brake levers are black aluminum and have a quick release slot at the top of the lever arm. Model number “TL-720” can be read on the side of the lever arm when the lever is engaged. The voluntary recall was done because the adjuster cap on the brake lever and the brake cable within it can slide out of position. This results in non-functional breaks, which can obviously cause a serious and dangerous situation for a bicyclist resulting in a bicycle accident. Specialized is aware of at least one bike accident where the rider lost complete function of both breaks. 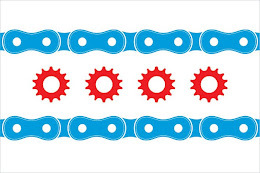 If you have any questions regarding this post or an issue involving a bicycle accident, please contact Illinois Bicycle Attorney Mike Keating at 312-208-7702 or MKeating@KeatingLegal.com 24 hours a day, 7 days a week. All e-mails and phone calls are returned promptly. All initial consultations are confidential and free.